Use an optional cable(s) to connect HDMI or MHL devices to the receiver, and play movie files from an iPhone 5, a Galaxy, or an Android smartphone. 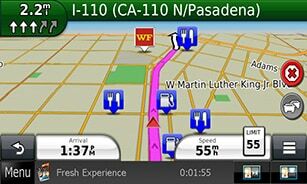 features of the vehicle, including gauges, climate control, parking and other vehicle information. *Available features may vary depending on the vehicle. receiver. Functions such as track name display and track search are also available from the receiver. Display the details of a POI just by touching it on the map. 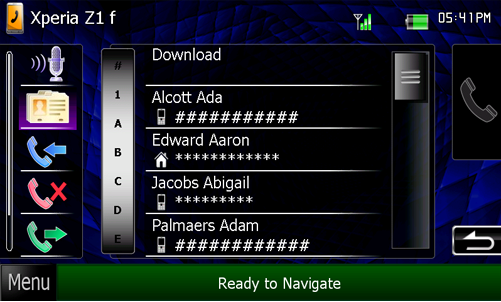 Several other functions are also included,such as predictive text input and a custom “Where To” menu. while routing to your destination. Smartphone Link makes your smartphone the next best thing to DNX navigation. 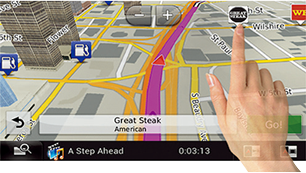 smartphone, letting them share information and Garmin Live Services. Use the graphic equalizer to tailor the sound quality to your unique tastes. Additional sound contouring is available with the Time Alignment feature, designed to provide optimal and balanced sound performance.